After last year's Road Trip we were exhausted! 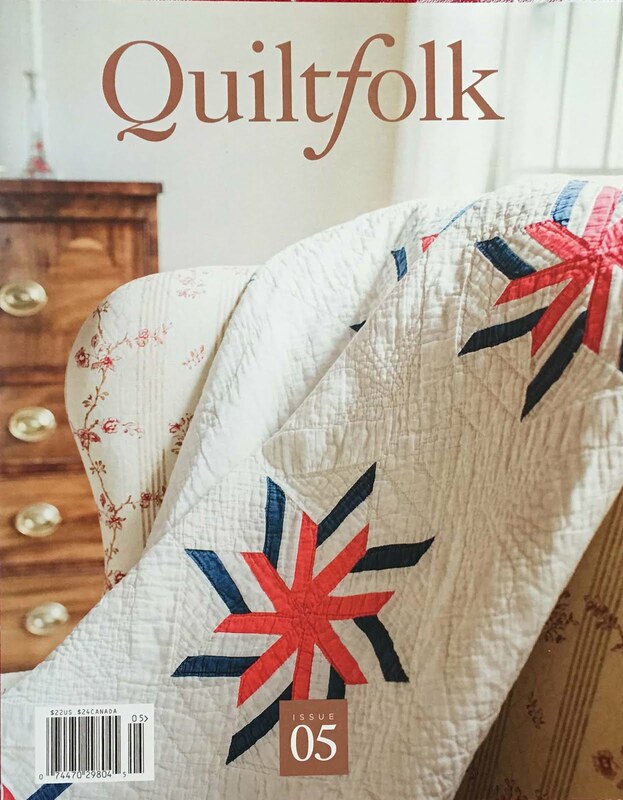 We thought the finished embroidery would make a fantastic center to a red, white, and blue quilt and photoshopped this plan with some really vague instructions for our customers, not really intending to pursue it anytime soon, end of story. In truly the most surprising email in 14 years of business, our stitch along friend, Joanelle from Meridian, Idaho, sent us her project photo a surprisingly short time after. It is no secret and we don't try to hide it: some of our customers are POWERHOUSES, way beyond anything that comes out of this studio. We were quite bowled over! So here we are starting another yearly road trip. We pulled out the embroidery from last year, which has been serving time pinned to a design wall. There wasn't enough red, white, and blue fabric in the "stash" to make a quilt top; really, there wasn't much, and a lot of the prints were pretty inappropriate. 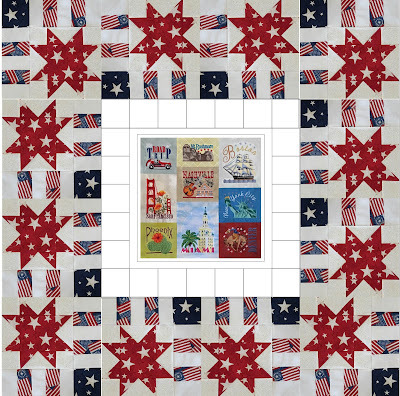 So we went online found a gorgeous kit on Keepsake Quilting's website, "Stripes and Stars." 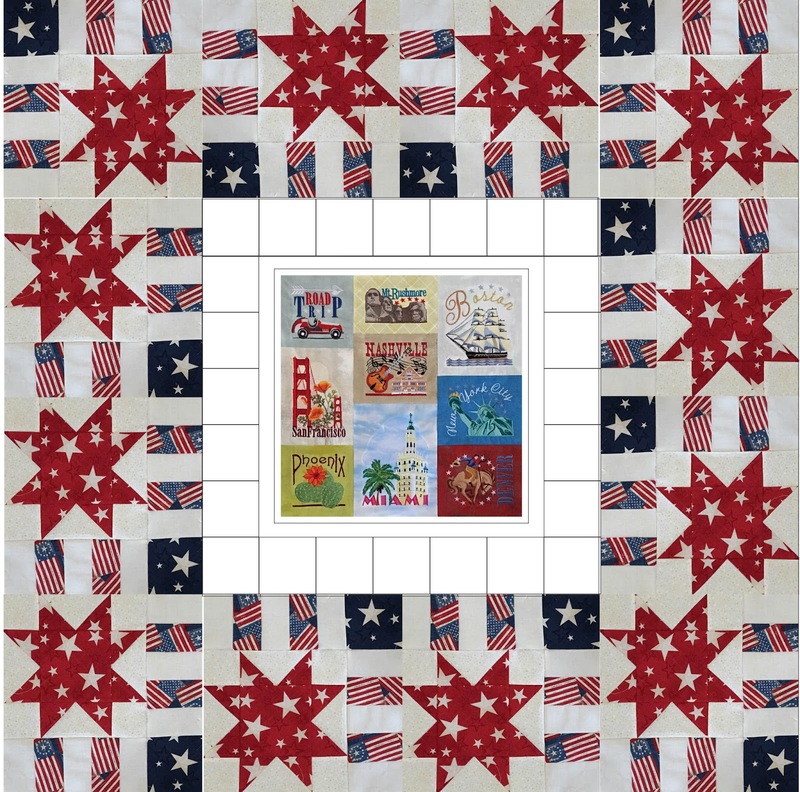 It's a precut thing: jelly rolls, layer cakes, and charm packs and is amazingly well organized to put together simple star blocks and strip borders. 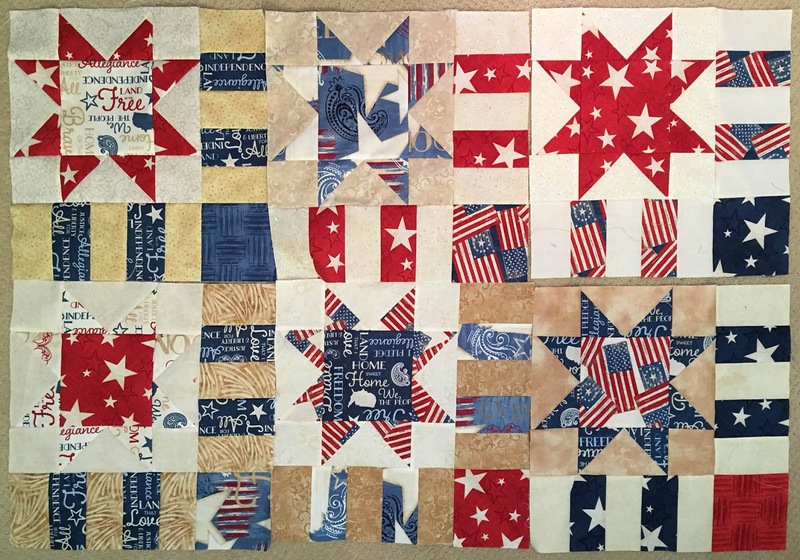 There's enough in the kit to make about 22 blocks; add a little extra and you could get 24. We have six already, done just between embroidery thread changes, of course! 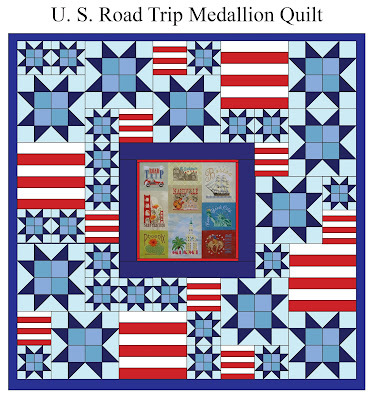 Here's the plan so far-- so while the kit was pricey, we will end up with two quilts out of it, two finished road trip projects, with an amount of work that is very manageable. And yes, you have guessed by the title! 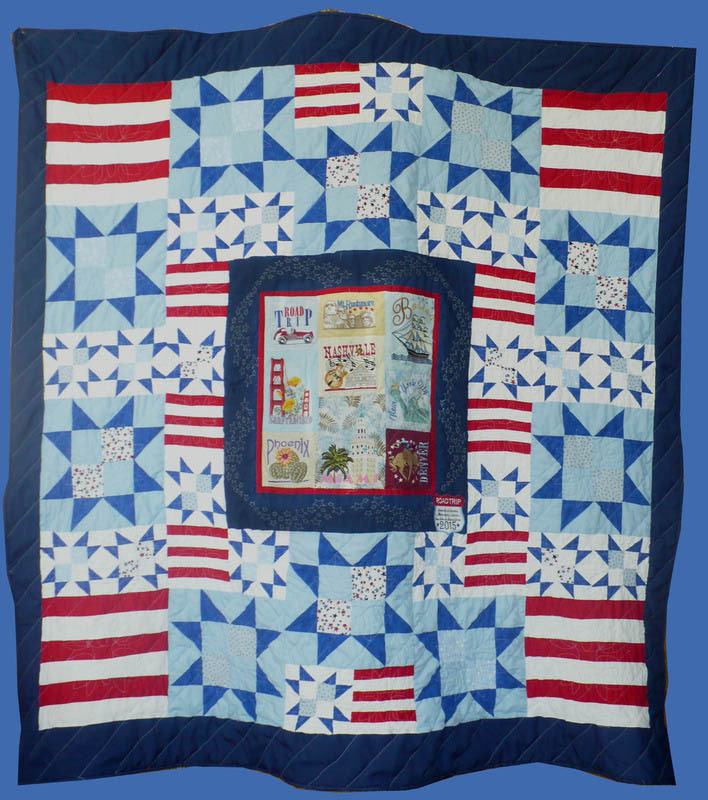 It has been on our bucket list for the past couple of years to make a Quilt of Valor. Here we are living the charmed life, but one only has to turn on the TV to realize this carefree existence has been bought and paid for at great price. Volumes could be written about that! 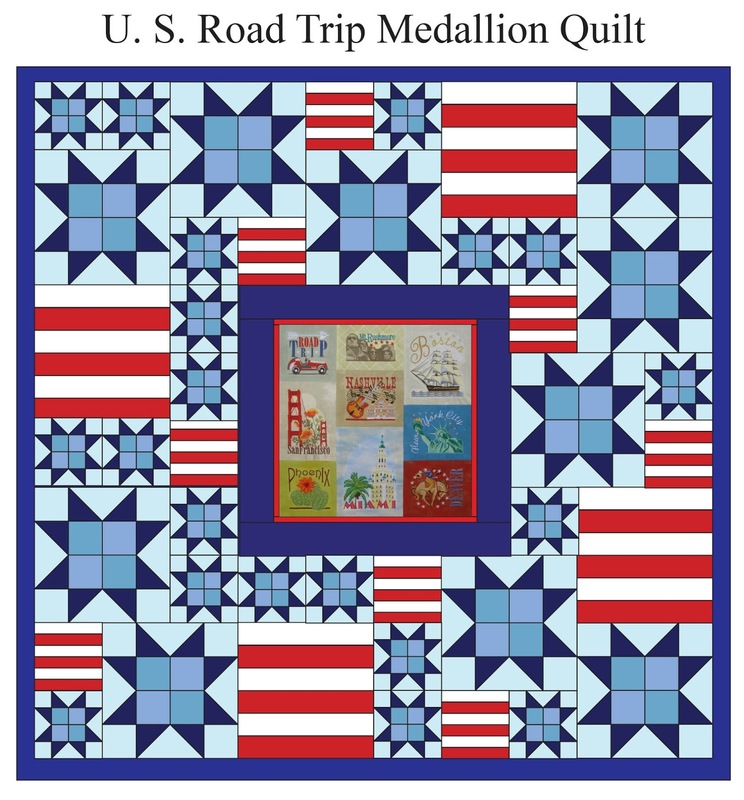 We may swap out the "Road Trip" block and make one that says "Let Freedom Ring" or maybe "From Sea to Shining Sea" which is a bit more in keeping... we will make these available for you as well. 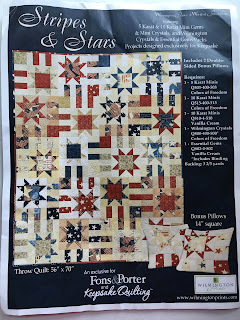 Our local guild has a person who longarm quilts these things for free, by the dozen. 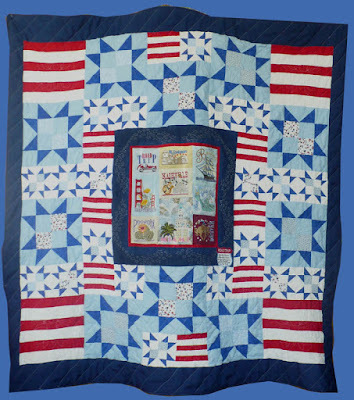 Two quilts eady for giving in time for Veteran's Day? That's the plan... we will keep you posted!